Congratulations to Dr. Xue-Bin Wang of Pacific Northwest National Laboratory on being elected a Fellow of the American Physical Society (APS) in September of 2016. The number of fellows elected each year is limited to no more than one half of one percent of the total APS membership of 50,000, a clear recognition by peers of his outstanding contributions to physics. 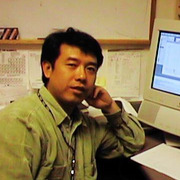 APS will announce Xue-Bin's election in the December issue of APS News, and his fellowship certificate will read as follows: "For outstanding contributions to probing the structure and energetics of a broad range of negative ions and their solvation, important to condensed phase chemical physics." Xue-Bin is an internationally recognized leader in studying structures and energetics of various complex anions, including multiply charged anions and their solvation. For the past 18 years, he has distinguished himself with many contributions to his field, perhaps most notably his work helping to revolutionize ion spectroscopy. Xue-Bin is a leader not only in fundamental science, but also in the development of technologies key to furthering study. In their letters of recommendation, physics leaders recognized Xue-Bin's record of scholarship, which includes 57 publications as a research leader since 2011. Many of these publications appeared in high-impact journals such as The Journal of the American Chemical Society, Angewandte Chemie, and the Journal of Physical Chemistry Letters. His work has also seen print in Nature, Science, Physical Review Letters, and PNAS, among others. Pacific Northwest National Laboratory scientist Xue-Bin Wang was recently elected a Fellow of the American Physical Society.